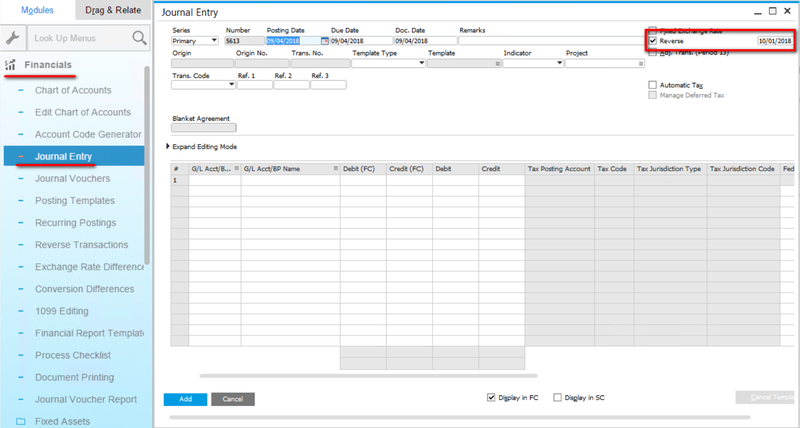 At the end of the month, quarter, or year, it is common to enter expected expenses into the system before actually receiving invoices. Of course, after receiving the invoices, the amounts need to be corrected with the actual amount invoiced. If you had to remember which entries needed to be corrected later, it could lead to a disaster. 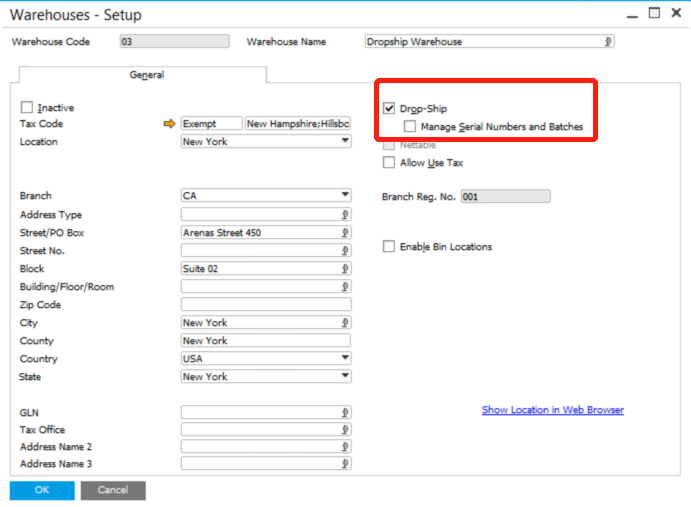 Fortunately, SAP Business One allows you to mark the entries that should be corrected later and set a cancellation date for them. All you need to do when making a journal entry, is to check the box by Reverse. 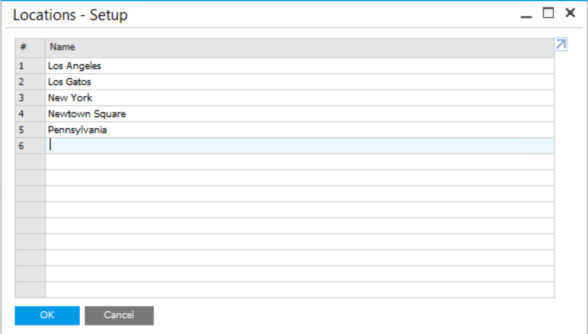 Beside it will be a date field with a date already entered. You can change this date if necessary. So let’s say you have made some journal entries with the Reverse checkbox checked. 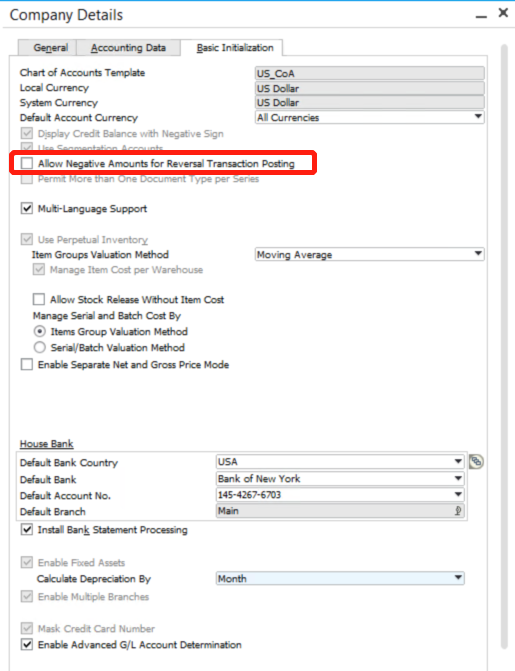 When the date selected has arrived, you can go to Financials > Reverse Transactions and view all of the entries that need to be changed. 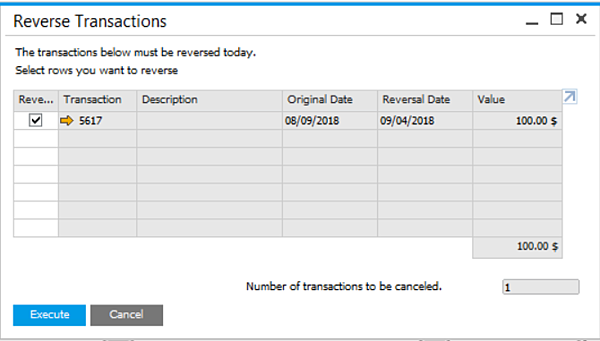 On the Reverse Transactions window, you can cancel transactions one-by-one or in bulk.